Dr. Gerald Henry, University of Georgia, discusses herbicide resistance development in weed populations of golf courses at the Central TX GCSA Event. As our first major cold front quickly covers the US, things will slow down pretty quickly at golf courses throughout the Midwest and Southeast. This is always a great time of year to get started on those larger projects that need to be accomplished because there are much fewer golfers to disrupt progress. Additionally, from now until spring arrives is a major time to earn continuing education credits along with other beneficial information at regional meetings. Last week, the majority of turfgrass scientist met in Long Beach, CA for the Crop Science Society of America meetings. This meeting is a “meeting of the turf minds” you could say and provides us all a great opportunity to discuss research ideas and how we can better serve our end users, you the golf course superintendents. There are numerous scientists and graduate students conducting research throughout the country specifically designed to answer the questions and challenges superintendent’s face on a normal basis. Although, our meeting was for us scientists, these same researchers and graduate students will be providing research updates and educational seminars at regional meetings throughout the country. Many will attend these meetings to keep pesticide applicator licenses current by earning the necessary continuing education units (CEU’s). It may be easy to skate through these meetings, receive the appropriate paperwork, and move on with your life. However, I would encourage you to participate fully in these meetings. We, as researchers, learn a lot from superintendents at these meetings with the questions and discussions we have with you. These meetings are your opportunity to hear and learn about the most current research that is being conducted (Image 1). As you are there, use the opportunity to gather information that can impact management decisions at your golf course. Prior to the starting of these events and during breaks, take advantage of the opportunity to network with your colleagues in your region that may provide insight on a problem or issue you are trying to deal with at your course. In addition to the learning opportunity, this is a great place to network with colleagues throughout your region (Image 2). Many pest problems are regional and there may be colleagues in your region that have experienced various environmental issues or general difficulties that may pop up in your location. As an example, I gave a talk on general disease identification and management to a group of superintendents from the Central Texas GCSA this week. One superintendent mentioned a diagnosis of thatch collapse on his putting greens during the year. After the talk, one of the industry sales reps from the area showed me some pictures of the symptoms and how similar appearing symptoms were arising on putting greens throughout the year. This allowed us the opportunity to discuss various diseases that can occur during different times of the year. The ultimate point is to take advantage of the opportunity to be around your colleagues, network, and keep updated on the latest and greatest of turfgrass research. The financial burden of attending some of these meetings may create challenges, but the learning outcomes you can walk away with will hopefully assist in justifying your travel expenses. I would challenge you to try attending a local chapter meeting or turf association meeting this winter with an open mind and listening ear. You may be surprised what you learn. 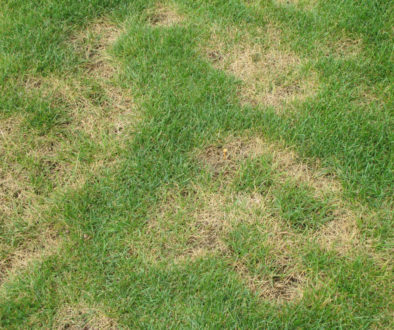 Winter Disease Review for the Mid-Atlantic	Do winter covers increase snow mold?